What Is the Rheumatoid Factor Blood Test? What Is the Rheumatoid Factor Blood Test? Blood tests are usually an important part of the workup for diagnosing inflammatory arthritis and other autoimmune diseases, but it’s not common that a single blood test can clinch a diagnosis. Certain blood tests detect the presence of antibodies or proteins, which can signal that your immune system is in overdrive or attacking itself. Others measure levels of inflammation in the body, which can help your doctor monitor how controlled your disease is over time. But blood tests have their limitations, so it’s important to know what any given test can — and can’t — tell you, as well as what the numbers actually mean. Here’s what you need to know about getting a blood test for rheumatoid factor. Rheumatoid factor (RF) is a group of antibodies that attack a person’s own tissue instead of targeting invaders, like bacteria or viruses. High concentrations of rheumatoid factor in your blood suggest to doctors that your autoimmune system is acting up. The rheumatoid factor blood test is most often associated with rheumatoid arthritis but isn’t limited to that disease. What Do the Results of a Rheumatoid Factor Blood Test Mean? How Sensitive and Specific Is the Rheumatoid Factor Test? Sensitivity refers to the proportion of people with a disease who will have a positive test, while specificity is the opposite: the proportion of people without the disease who will have a negative result. For rheumatoid arthritis, the RF test has a sensitivity of 69 percent, according to a study in the journal Annals of Internal Medicine. This means that 69 percent of people with RA will be positive for rheumatoid factor. The sensitivity of the rheumatoid factor blood test is 85 percent, which means that 85 percent of the general population can be expected to test negative, but 15 percent might test positive even without having RA. The tests for anti-cyclic citrullinated peptide (anti-CCP), another kind of antibody, are a more specific alternative to rheumatoid factor, says Stuart D. Kaplan, MD, chief of rheumatology at South Nassau Communities Hospital in Oceanside, New York. Aside from Rheumatoid Arthritis, What Diseases Does the RF Test Help Diagnose? Rheumatoid factor is largely associated with rheumatoid arthritis, but it isn’t unique to RA. High RF concentrations can also be found in people with other autoimmune conditions such as lupus and Sjögren’s syndrome. Levels can also be elevated in viral hepatitis, such as hepatitis B. 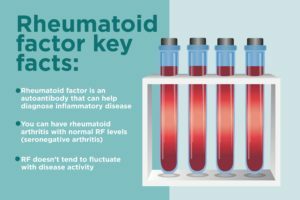 What Diseases Does the Rheumatoid Factor Test Help Rule Out? Even though low levels of rheumatoid factor don’t rule out a diagnosis, high levels might inform a rheumatologist’s diagnosis. 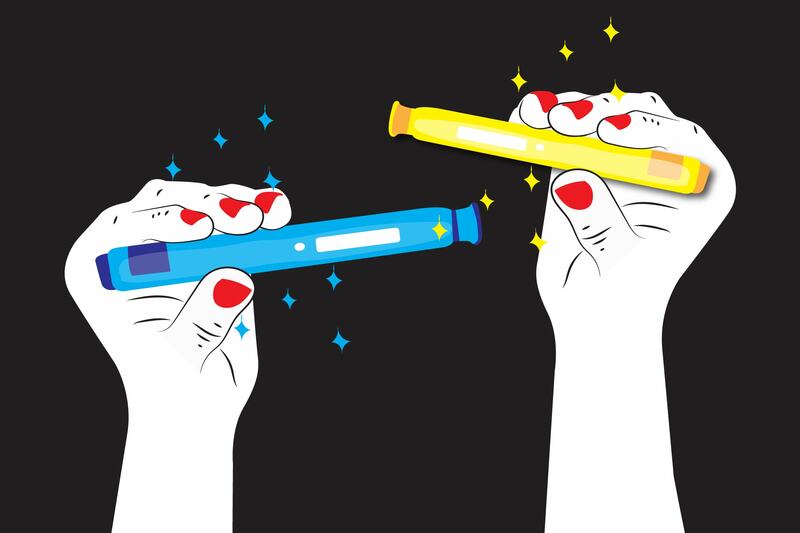 If your RF levels are high, a doctor might lean more toward diagnosing RA, systemic lupus, and other associated diseases than ones not associated with RF levels. “If you have a high level of rheumatoid factor, you need a good explanation for it,” says Dr. Kaplan. Can Someone with a Negative Rheumatoid Factor Still Have Rheumatoid Arthritis? Yes. 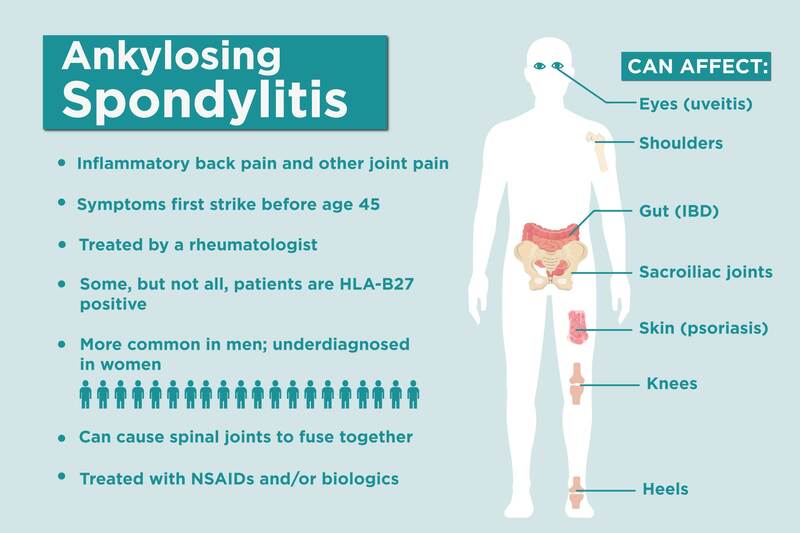 Up 30 percent of people with RA are known as being “seronegative,” which means their blood tests didn’t show the expected antibodies, according to a study in BMC Muscoskeletal Disorders. Learn more about seronegative arthritis here. Why Else Could Rheumatoid Factor Be Positive? Tested randomly, a positive RF result could sometimes show up in a person without arthritis or other autoimmune disease symptoms, but who has a family history of them, such as RA. But that doesn’t mean they’ll develop autoimmune problems. “Without clinical correlation, it doesn’t mean much,” says Dr. Schulz. It also is more likely to be higher in healthy older patients. How Do Doctors Use the Rhematoid Factor Test to Monitor Your Disease? Although some research suggests that higher RF concentrations are connected with lower odds of achieving remission, rheumatologists don’t necessarily keep an eye on its levels. The rheumatoid factor test is useful as part of making an initial diagnosis, but it doesn’t tend to fluctuate with disease activity, says Dr. Schulz. “Antibodies will matter for one patient and predict disease and severity, and that same test will not matter in someone else,” he says.